Following the unveiling of the 9.7-inch iPad Pro at Apple's media event on Monday, Apple CEO Tim Cook described the device as the "ultimate PC replacement". As if to underline that belief, the company has included a subscription option for Microsoft Office 365 in the iPad Pro ordering process on its website. It's unclear exactly when Apple added the Microsoft productivity suite to the online checkout process – it also appears when customers order the iPad Air 2, iPad mini 2, or iPad mini 4 – however the inclusion has raised a few eyebrows, not least because Apple usually positions its iWork suite as a better alternative to Microsoft's Office apps. More significantly perhaps, Microsoft already offers all of its mobile Office apps to Apple customers on the App Store for free (with the exception of 12.9-inch iPad Pro users, oddly enough, since the larger tablet exceeds Microsoft's official definition of a mobile device). By contrast, an Office 365 subscription gives users Mac and iPad access to Microsoft's full suite of productivity apps, including Word, Excel, PowerPoint, and more. The move suggests Apple is heavily relying on the potential for Windows PC users to see the smaller iPad Pro as not only a Microsoft Surface beater, but also a complete desktop PC replacement that will draw them into the Apple ecosystem. Indeed, a look back at Monday's event highlights just how much effort Apple is now putting into encouraging Windows desktop users to switch to iPad. "There's a second group of people that we'd love to reach with this iPad Pro: Windows users," Apple's senior VP Phil Schiller said during Monday's event. "You may not know this, but the majority of people who come to an iPad Pro are coming from a Windows PC." Windows PCs were originally conceived of before there was an internet, before there was social media, before there was app stores, and this is an amazing statistic: There are over 600 million PCs in use today that are over five years old. This is really sad. It really is. These people could really benefit from an iPad Pro. When they see the features and performance and capabilities of a product like the iPad Pro, designed for the modern digital lifestyle, many of them will find it is the ultimate PC replacement. Apple remains the largest vendor in a declining tablet market, shipping 16.1 million iPads in the fourth calendar quarter of 2015. While the iPad continues to be the best-selling tablet, its worldwide market share remains only 24.5 percent despite the larger iPad Pro launching in early November. Despite that, the 12.9-inch iPad Pro outsold Microsoft Surface tablets in its debut quarter. iPad sales have declined for eight consecutive quarters year-over-year due to, among other reasons, longer tablet refresh cycles compared to smartphones. Apple's efforts to convince Windows PC users that an iPad Pro is a complete PC replacement appears to be the company's latest big push in its larger efforts to reverse this trend. 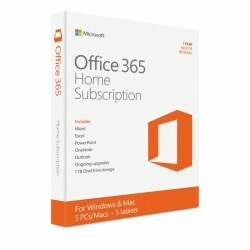 A one-year, single-license Office 365 subscription on Apple's website costs $69.95. A five-license subscription costs $99.95 and a four-year, two-license University download comes in at $79.95. 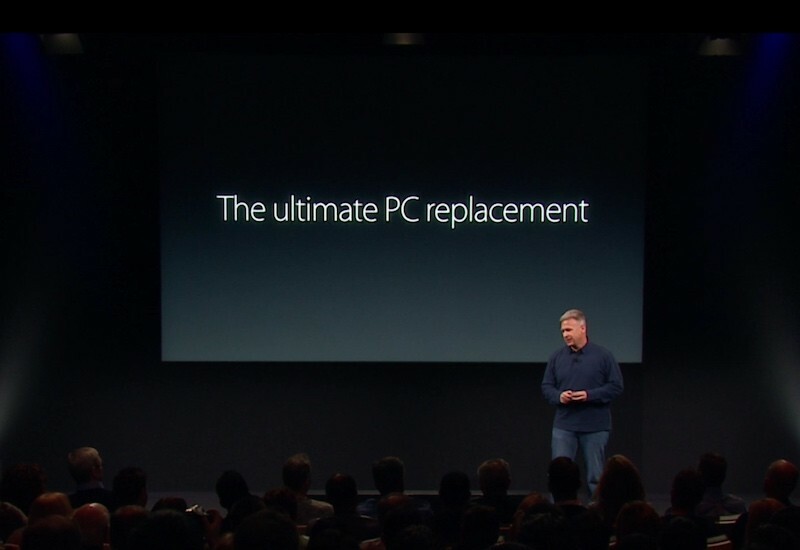 After Apple insulted those 5 year old PC users as "sad" and the fact that lack of ports and finder file structure I would be surprised if they win a lot of PC users over. Funny thing is I'm using a 4 year old MBP because Apple has failed to push out a newer laptop with up-to-date ports to make the jump worth the cost. Forget about 5 year old PCs -- Apple's current laptop lineup isn't functionally better than the ones it was selling in 2012. How's that for a sad fact. If Apple is looking for a market it might try making its computers relevant again rather than stuffing extra speakers in a .27" tablet case and pronouncing it equivalent to a full fledged PC. Does anyone really believe that? I find it somewhat ironic that they touted green initiatives and their long-lasting products, but then made fun of the fact that people are re-using or continuing to use their device for a long time. Edit: I would also argue that those are tough words for a company that hasn't visually updated their pro line of laptops in 4 years. iPad as a PC replacement is utterly nonsense. MS Office has 20% of the features of the main Windows/Mac version. No mouse support. No monitor support. No way to have more than 2 windows open on the same screen at once. No file system. I'm impressed people can seriously replace their laptop with an iPad Pro. Their needs must be pretty simple. Because there is only rivalry between these companies in the eyes of the fanboys. It's a smart business decision to work with other companies. I also don't understand this word sad. If the customer is using an old PC that meets their needs, why is that sad? Do we really need to put more PCs in the recycling and landfills for no other reason than Apple profits? Apple hasn't even bothered making a version of Preview for iPad. If they truly wanted to make a "PC replacement" they need to really step up their software game. Newer technology is so much more powerful, portable, energy efficient and versatile that it is sad to still be using heavy, slow, noisy and energy inefficient machines. What can you do with a PC over 5 years old that wouldn't be better with a tablet? I'd bet a lot, that 90% of people could use 2011 iMac with SSD and see no difference in performance. Too bad they're ignoring the iWork suite (they still haven't replaced the features they killed when replacing the real Mac version of iWork programs with their crippled iOS versions). This revelation of bundling Office 360 just continues to drive home how disinterested Apple is in its own software.